You have many options when choosing a ERP software vendor. To make it a bit easier, BusinessSoftware.com featured some of the leading ERP solutions in this paper. 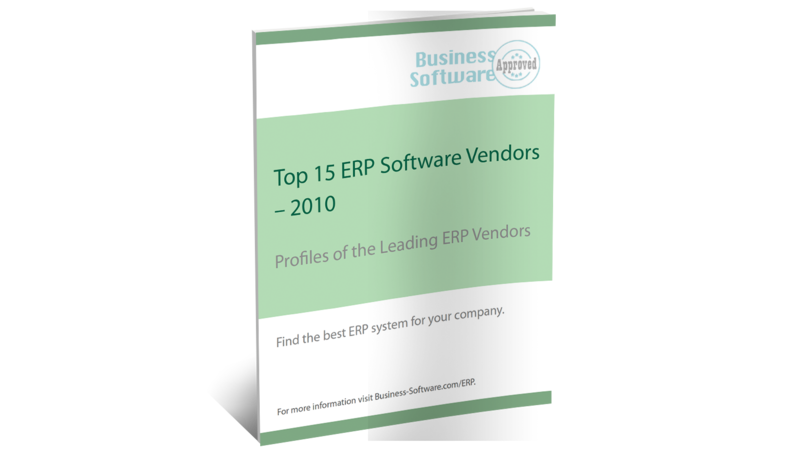 Review these vendors in this 2010 Business-Software.com Top 15 ERP Software Vendors Report and you’ll be well on the way to finding the right ERP software for your business.